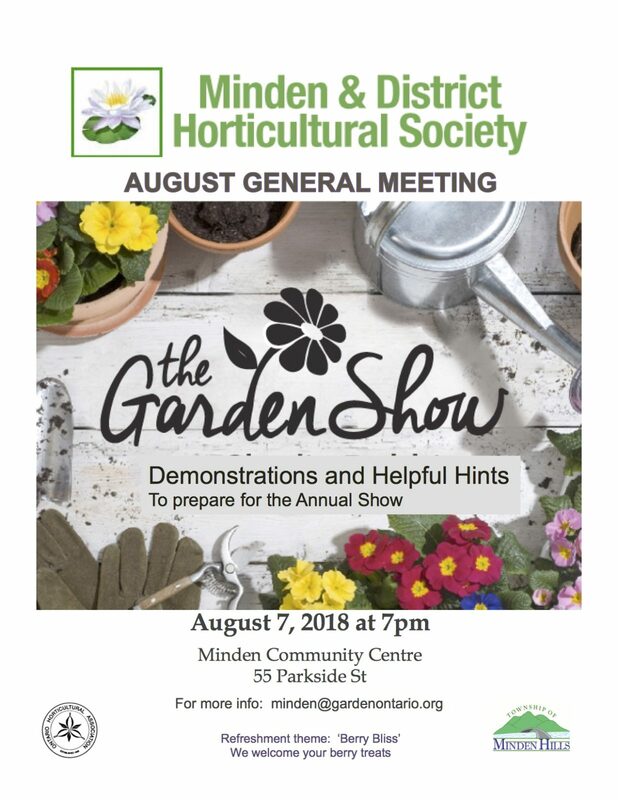 The Minden & District Horticultural Society invites you to our August General Meeting. We welcome members from the Garden Show Committee to review important aspects for the upcoming Garden Show. The refreshment theme is ‘Berry Bliss’ and we look forward to sampling your berry treats. Please join us. We look forward to seeing you there! !